Borassus aethiopum Mart. is a multipurpose palm native to mainland Africa. Fruits and hypocotyls are the most exploited parts which collection/harvest threats the species. 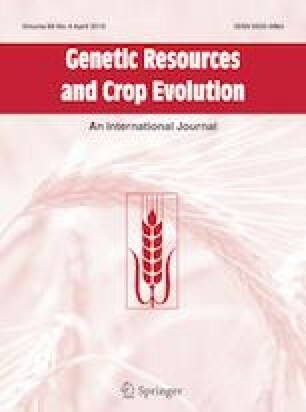 As a pre-requisite for its domestication, this study assessed the (1) environmental-induced diversity in morphological traits of fruits and (2) differences in growth and weight of hypocotyls from one-seeded, two-seeded, and three-seeded fruits from three provenances in the three climatic regions of Benin. 5400 fruits collected from 180 trees in six populations were measured for fruits and tree morphological traits. A randomized complete block design with three replicates was used for the experimentation in each region. Variation in fruit morphological traits was not influenced by climatic regions. The greatest variation (65–94%) in fruit morphological traits was located at tree level, highlighting that selection of many fruits and individual trees within a few populations would capture large variation of fruit traits. Tree diameter at breast height (18.5–52 cm), total (6.4–19.6 m) and bole (4.8–17.6 m) height, and fruit length (7.00–20.50 cm), dry weight (98–2552 g), shape index (0.59–2.80), and number of seed (1–3) were the most discriminative traits of studied populations. Clustering of the trees resulted into five morphotypes based on discriminating traits. Morphotypes 1 and 2 showed high performances for fruits and seeds production. These morphotypes are good candidates for selection and breeding programs. Irrespective of the provenances, best performances of hypocotyls were observed in the humid region. This study provides important baseline information for the domestication of B. aethiopum. This research was supported by the International Foundation for Science (IFS), Stockholm, Sweden individual research grants (Salako K.V: N° D/5448-1, Kégbé A.G.F.M.B: N° C/6062-1). We also acknowledge additional support from the scientific council of the University of Abomey-Calavi through the project “WILD-PALM of Benin” and the AGNES Junior research Grant to S.K.V. The datasets generated during and/or analyzed during the current study are available from the authors upon request.